Drafting tweets so that they get the most retweets is a tricky job. Then along comes a site ‘Retweeted More’. 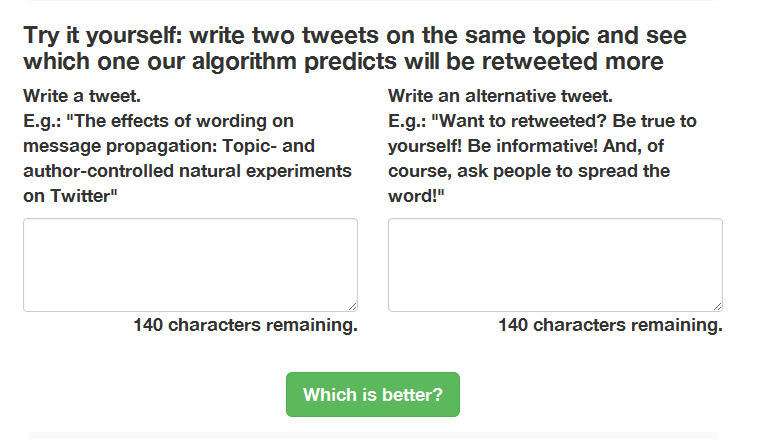 ‘Retweeted More’ uses an algorithm to compare two tweets on the same topic and it tells you which one is likely to be retweeted more! It’s as simple as that! Give it a whirl and see how you get on.